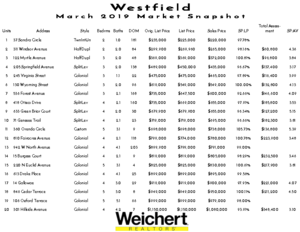 Originally known as West Fields, Westfield, New Jersey is a family-oriented community that encompasses 6.8 square miles and is located only 23 miles from New York City. It is one of the most popular towns in New Jersey for commuters and families alike. 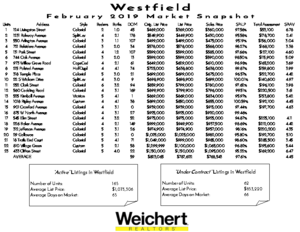 In the most recent niche.com survey, Westfield was rated #14 in the category of Best Places to Live in New Jersey. In 2016, Westfield was featured in a New York Times article in its Living In section entitled: Westfield, N.J., Where Small Town Meets Urban. In the most recent niche.com survey, Westfield received an enviable A+ rating, and an impressive 53% of high school students participate in AP exams. Westfield residents can take the Raritan Valley train line into Newark Penn Station. From there, commuters often transfer trains and travel into New York City. Westfield has many parks including Mindowaskin with its beautiful lake and history that dates back to the time of the Lenni-Lenape Indian tribe. 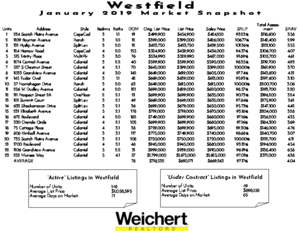 Westfield, NJ has a large public school district that encompasses grades PreK-12 and has over 6300 students. There are ten schools which include six elementary schools, two middle schools, Westfield High School and an Early Childhood Learning Center. The High School has an impressive array of courses and a 53% participation in Advanced Placement (AP) exams. Westfield students outperform both the national and state mean on their scores for college entrance exams, and over 90% of students go on to a 4-year college or university after graduation. In addition to the academic strength of the district, students have a variety of extracurricular options. The high school has an award-winning, student-produced weekly newspaper called Hi's Eye which received the All-American Honor Rating from the National Scholastic Press Association. There are 26 varsity athletic teams and over 70 different extracurricular activities. Other programs include English-as-a-Second-Language, special education and a TV studio in the high school that broadcasts via cable television. For more information on Westfield Public Schools, visit the district website or our Schools page. Westfield is on the Raritan Valley train line, and commuters looking to get to New York City travel via Newark Penn Station. From there, they can take the PATH train to New York's Penn Station. Changing tracks at Newark Penn Station adds an extra 10 minutes on average to the commute time. Worth noting, New Jersey Transit now operates a dual diesel/electric train during rush hour with direct service to New York's Penn Station; but as a general rule of thumb, it takes a little under an hour by train to get to New York City from Westfield. There is a convenient bus route which picks up riders from the Westfield Park & Ride and goes to the Newark Broad Street Railroad Station. The town of Westfield also has commuter parking lots, although there is an application process and waiting list to receive a permit for them. Finally, some residents opt to drive to Jersey City and from there take the ferry to New York City. Westfield has over 211 acres of parkland. One of the nicest parks is Tamaques Park which has playing fields for soccer and baseball, tennis and handball courts. Bikers and joggers can be seen enjoying the walking path which is just under one mile in length. On a nice day, residents are out having picnics or walking their dogs. Another lovely park dotted with beautiful gardens, gazebos, and fountains is Mindowaskin Park located near Town Hall. Mindowaskin Park is also the site of a popular summer concert series in the park. Echo Lake Park is run by the county and offers a lake, many picnic areas, a dog park and soccer and softball fields. In winter, ice skaters enjoy the frozen lake, and in summer you will see paddle boasts milling around on the water. The park also houses the Union County 911 Memorial. Sometimes the lake is stocked with freshwater fish, so it's a fun place to go fishing in the warmer months. 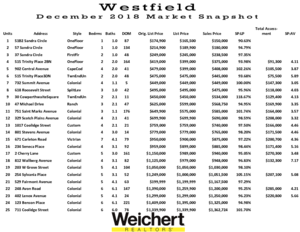 Residents of Westfield enjoy a lively downtown restaurant scene and the shopping district boasts an old world charm that has been the subject of many commercials, television series, and movies. 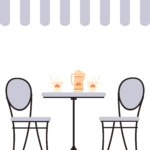 There are quaint shops, small boutiques, and café restaurants lining the streetscape. The town has almost too many good restaurants to name, but highlights include Limani Seafood Grill serving Mediterranean cuisine, Chez Catherine serving French food and Xocolatz for trendy American dishes. After a great meal, there are ice cream boutiques, coffee roasteries and pastry shops throughout the downtown. Westfield is family-friendly and organizes all types of outdoor events throughout the year. Halloween promises annual downtown trick or treating, a parade and costume contest. There is live jazz downtown every Tuesday evening during the months of July and August. And if you're the indoor type, the New Jersey Festival Orchestra has family-friendly orchestral performances and the New Jersey Workshop for the Arts offers music lessons, ensembles, band opportunities and even a summer camp. On a rainy day, residents can go to the Westfield Library and grab a good read; it's a large community place that houses over 250,000 books in addition to public computers and a wide variety of multimedia options. For an excellent resource with all of the downtown happenings, visit the Downtown Westfield website.